Chris often performs famous Celebrity Weddings. 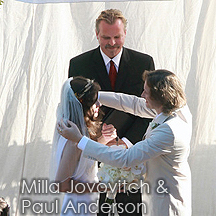 Many our celebrity wedding clients wish to have their weddings be private, out of the public eye. And if you’re just a curious person who wants to know the celebrities we have married, sorry, but we won’t share that with you unless it was a publicized event. Celebrities have the burden of a public career, but they still seek their private moments, and we are honored to be a part of those moments. Renee Sloan and Scott Baio were married by Officiant Guy, Chris Robinson, seen on VH1’s reality television series Scott Baio is 46 and Pregnant (formerly Scott Baio is 45 and Single). 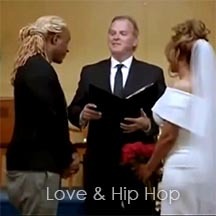 If you are an entertainment attorney, personal assistant, agent or manager who is looking for a wedding officiant who can be fully confidential and knowledgeable about the legalities of marriage law and marriage licenses, Chris is the right guy. 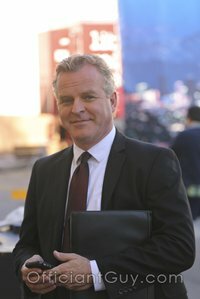 Being an attorney, as well, he is fully aware of attorney-client confidentiality, as well as the restrictions of a confidential marriage license. It’s not necessary to sign a confidentiality agreement, as Chris must follow the law, but he will gladly oblige. However, as you see below, some celebrity weddings are a public event. 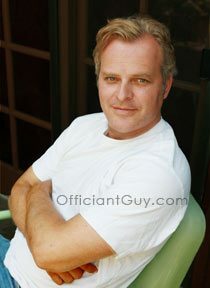 Chris is proud to be chosen to be the marriage officiant and issuer of a confidential marriage license for celebrity weddings, private or public. 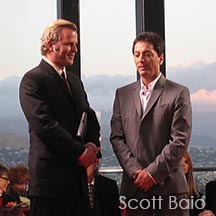 Scott Baio’s wedding was made public by paparazzi flying around in helicopters looking for pictures of celebrity weddings. . . and a camera crew for Scott’s popular TV show on VH1, “Scott Baio is 46 and Pregnant”. 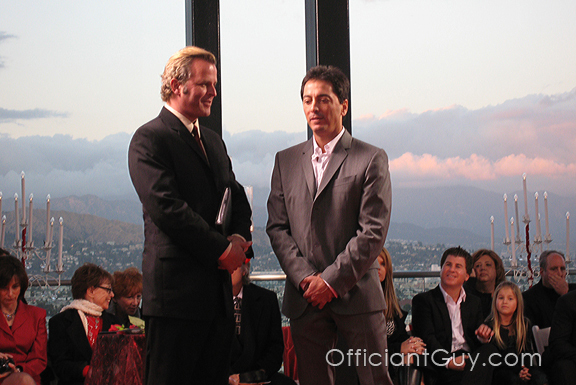 Chris was the wedding officiant for Hugh Hefner’s wedding, the wedding officiant for Milla Jovovich and Paul Anderson, and the wedding officiant for Kendra Wilkinson and Hank Baskett. All of these were publicized weddings by either television or press. We can provide a Confidential Marriage License to our celebrity clients (as well as not-so-famous clients) which ensures that your license and it’s information is sealed from public view as well. That means: no press, no telemarketers, no stalkers, NOBODY will have to know — unless, of course, your publicist or you, yourself, tell anybody. And the beauty of the California Confidential Marriage License is that you can be married without witnesses, just the two of you, and it’s still fully legal. If you are a celebrity, we can arrange everything through your assistant and all we would require all the California state marriage requirements such as proof of dissolution of former marriages within 2 years, government-issued I.D. and marriage application information which can be submitted to us just prior to the ceremony through our secure application page. 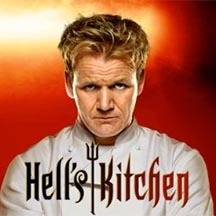 We can explain this to you, or your assistant, your butler, your secretary, your manager, your agent, your attorney or your mother- – whatever you prefer. Chris Robinson is a Los Angeles nondenominational minister for weddings. He has been officiating weddings and delivering marriage licenses for over two decades. 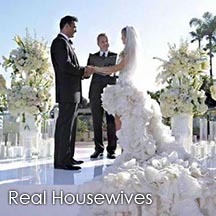 If you want to get married somewhere in the periphery of Los Angeles County give the best wedding officiant in LA County a telephone call at (310) 882-5039 or (562) 547-3255 or fill out the contact form.